We are in tourism 30 years, from the very beginning of tourism in Novalja. Apart from accommodation we offer wine, brandy, various seasonal vegetables and olive oil. The house is situated in a peaceful part of Novalja, island of Pag. 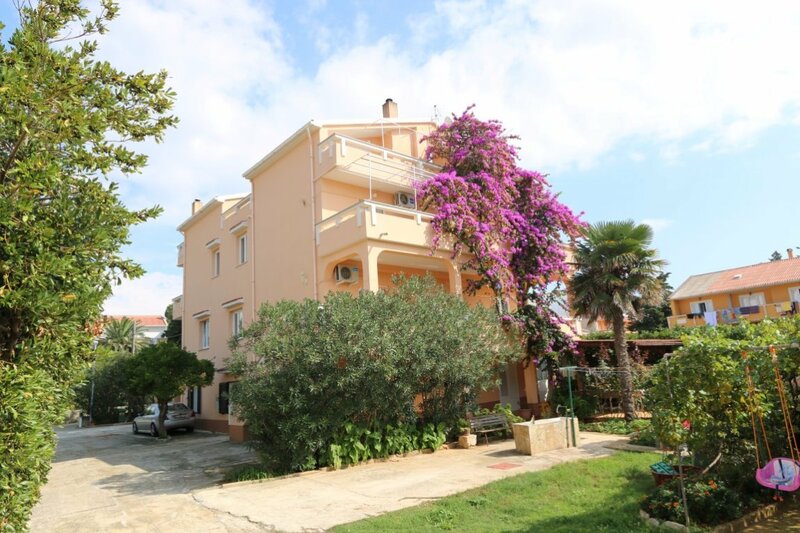 The sea and the town of Novalja is situated approximately 150 m. We have a large yard with lots of greenery and a large parking lot. We hope that our guests feel comfortable in our home, enjoying our hospitality, summer scents, pine and sea ... know will recognize the perfect place to relax. The house is ideal for families and people looking for a perfect rest and peace, and also for young people who are looking for a good time at the beach Zræe. Relax and hang out with penny RIC, a glass of wine and brandy, grilled fish, bathed in olive oil.